feels trapped in a conventional upper-class family in India, weighed down by suffocating patriarchal expectations. Claustrophobic within the dark walls of the mansion in which she lives with Veer, she starts living precariously through the threads of her curiosity. This curiosity leads Maya to unearth a dark family secret − a brutal ancestral murder − which begins to haunt her and also affect her marriage. To escape the malicious spirits lingering in the house, Maya and her family move to Canada and discover the hardship and bounty that the new land offers. As she tries to rebuild her life amidst the struggles of settling in a new country, her relationship with Veer is tested beyond its limits. Not knowing that the ghosts of their past have followed them, Maya is put to a final test. She realizes that the only way to overcome past wrongs is to face them. In a race against time and armed with conviction and hope, Maya sets out to face the dark forces that lie in wait. 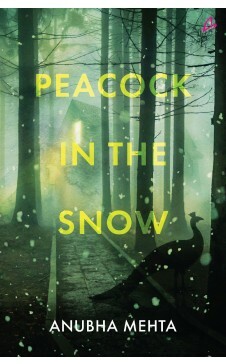 Peacock in the Snow is a unique, genre-defying thriller about the power of an eternal love, which survives through three generations of heartbreak, across two continents, and speaks about the tireless and infinite capacity of the human spirit to love, hope, strive, and succeed despite impossible obstacles. This book is like cinematic story-telling. As a filmmaker, I am drawn to the scenic imagery that is evoked in both India and North America.The image of a peacock, flush and vivacious, dancing on a frosty landscape; the ethereal picture of young love; a large pepal spreading its aura over a lotus pond on warm full-moon nights; the colossal haunted mansion, long passages, dark halls and menacing secrets; the whispering wind; chaos of Indian weddings and the tranquillity of Canada; rusticness of small-town Ontario, sparring with the Algonquin black bear, conifers under a pink sky, granite ridges and canoe rides on silver rippled lakes; husky- sleighs, inuksuk and the great white north. A complexity of symbols and characters. The aunties and the mother-in-law, the governess and best friend, the greedy agent, the idiosyncratic Sikh, Canadian friends and William. And of course the protagonist and her love. What intrigued me was the simplicity with which the paranormal elements were normalized, the ease with which they flew in and out of routine life. 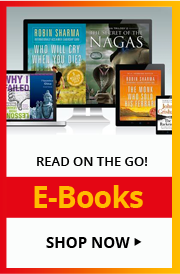 The story had the capacity of a rare connectedness - of pulling the weight of small details, incidences and characters from the past, to the present to the future. With so much to offer, I would be very happy to see this converted into a screenplay, one day. Anubha Mehta is a Canadian writer and artist who was born in India. With a doctorate in Political Science, and two decades of Canadian public service experience, Anubha has won awards for her leadership work with diverse communities. Her short stories and poems have been published in several Canadian magazines and journals and reflect her travels and life lived on both sides of the globe. She currently lives in Toronto, Canada. Peacock in the Snow is her debut novel.